Every year, thousands of people undergo MRIs that involve the use of gadolinium-based MRI contrast agent dyes like Omniscan and Magnevist. Recently, however, U.S. health regulators issued a class warning for these products regarding the potential for gadolinium retention. A growing number of MRI contrast dye lawsuits have also been filed in U.S. courts on behalf of patients who allegedly suffered from gadolinium toxicity or “Gadolinium Deposition Disease” due to their exposure to these agents. The nationwide law firm of Bernstein Liebhard LLP is investigating legal claims on behalf of patients who developed chronic symptoms that may be associated with gadolinium toxicity or Gadolinium Deposition Disease allegedly associated with certain MRI contrast agents. To learn if you might qualify to file an MRI contrast dye lawsuit, please call (888) 994-5118. In 2015, two studies were published that suggested these agents could leave behind potentially-toxic gadolinium deposits in patients’ brains. In March 2015, the journal Radiology published research involving cadaver brains which found such deposits in the brains of those that had received gadolinium injections, while the deposits were absent in those who had not received injections. That June, European researchers writing in Investigative Radiology reported that they had found similar deposits in the brains of rats injected with Omniscan. 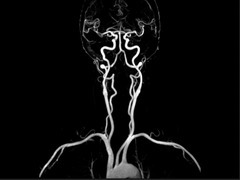 Why are Plaintiffs Filing MRI Contrast Dye Lawsuits? A growing number of lawsuits have recently been filed in U.S. courts on behalf of individuals who purportedly developed gadolinium toxicity or Gadolinium Deposition Disease following an MRI with a gadolinium-based contrast dye. These plaintiffs claim that gadolinium deposits can be retained in the body, including the brain, following an MRI, leading to serious adverse events. Their gadolinium lawsuits further charge that plaintiffs could have avoided their injuries and complications had the drugs’ makers provided doctors and patients with adequate warnings regarding the potential for gadolinium retention. The FDA began reviewing the safety of gadolinium MRI contrast agents in July 2015. At that time, the agency asked doctors to limit the use of gadolinium-based agents to clinical circumstances in which the additional information provided by the contrast is necessary, and to reassess the necessity of repetitive gadolinium MRIs in established treatment protocols. In December 2017, the FDA issued a class warning for gadolinium contrast dyes because of the risk that gadolinium could be retained in the brain or other parts of the body weeks, or even months, after a patient has undergone an MRI. While the FDA had not yet linked gadolinium retention to any adverse events, it was requiring that the labels for all gadolinium-based MRI contrast dies be updated with a new Warning and Precaution regarding this risk. The agency also ordered the drugs’ manufacturers to include information about gadolinium retention in the Reactions, Pregnancy, Clinical Pharmacology, and Patient Instructions. Finally, the FDA directed the drugs’ makers to create new Medication Guides for patients undergoing MRIs with gadolinium-based agents and to conduct human and animal studies to further assess the safety of these drugs. To learn more about filing an MRI contrast dye lawsuit, please contact our office today at (888) 994-5118.